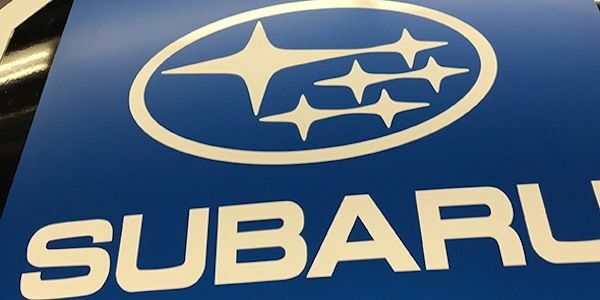 Subaru has an oil consumption lawsuit pending and there is new info revealed from Consumer Reports that says they have 4 new vehicles that burn excessive oil. What are the vehicles? Consumers need to be aware before they buy a new vehicle if there are potential problems with a certain brand. Subaru is a hot brand in the U.S., but some of the vehicles the automaker builds burn more oil than other automakers according to Consumer Reports (CR). What did CR find in a recent study? Subaru vehicles are the best multi-purpose recreational vehicles on the planet, but some of their vehicles, that use the Boxer engine, are experiencing excessive oil consumption according to CR. Porsche is the only other brand that uses this design and the Boxter sports car is also on the Consumer Reports top 30 list. A pending lawsuit on behalf of a California man and others, claims the 2011-14 Forester, 2013 Legacy and 2013 Outback, with 2.5-liter engines, and 2012-13 Impreza and 2013 Crosstrek, with 2-liter engines are having this oil consumption issue. The suit claims the vehicles "prematurely burn off and/or consume abnormal and excessive amounts of engine oil." Consumer Reports focused on 498,900 vehicles from the 2010 to 2014 model years. Many of these vehicles are still under the manufacturers powertrain warranty. CR found there were a number of automakers who were the main offenders when it comes to excessive oil consumption. What Subaru vehicles made the top 30 list? CR’s study found that Subaru’s 3.6-liter six-cylinder and 2.0- and 2.5-liter four-cylinders were the main offenders. The Subaru models in the study are the Subaru Forester, Impreza, Legacy and Outback. These are the same models that are in the pending oil consumption lawsuit against the Japanese automaker. CR also found that Audi’s 2.0-liter turbocharged four-cylinder and 3.0-liter V6, BMW’s 4.8-liter V8 and twin-turbocharged 4.4-liter V8 were even bigger offenders. Those engines are in Audi models such as the Audi A3, A4, A5, A6, and Q5. BMW’s models are the BMW 5 Series, 6 Series, 7 Series and BMW X5. Audi, BMW and Subaru all maintain that oil consumption is a normal part of the these engine’s operation and that this is normal. Subaru says a quart burned every 1,000 to 1,200 miles is acceptable. Certain Audi and BMW cars’ standards state that a quart burned every 600 to 700 miles is within acceptable consumption ranges. For a new vehicle, these are excessive amounts and are unacceptable for any vehicle. Subaru owners who think they have excessive oil consumption, can take their vehicle to an authorized dealer who will perform oil-consumption tests to determine whether the vehicle is performing outside of manufacturer specifications. Consumer Reports says, “Any engine that burns oil between changes should be repaired under the powertrain warranty.” 2011-14 Forester, 2013 Legacy and 2013 Outback, with 2.5-liter engines, and 2012-13 Impreza and 2013 Crosstrek, with 2-liter engines seem to be the main culprits. To learn more about this issue, you can go to the Consumer Reports article here. As an ASE certified technician, I will tell you you and the "consumers" are wrong and Subaru would not say it's normal to burn oil. Oil burning occurs only if the compression is low (gap between piston and cylander wall) due to engine wear (high mileage). The way a boxer engine is designed, and f.y.i all Subaru models use a boxer engine, they have for quite a while now, they are flat lying, low friction, horizontal opposed piston layout. And the reason the oil is read "low" is because it is not a "V" type engine, where all the oil drains to the bottom of that "V". It's a flat engine, the oil gets trapped in the heads and valve covers. The air vacuum to pull the oil around the engine to lubricate is through hoses usually ending at the valve covers, which is where your "burned" oil is. If you ever changed to oil on a Subaru, exact specified quarts, and started it up, you might realize you oil reading not precise. As for Audi and BMW who use "V" and "I" engines, I cannot speak for them. I have a 2013 Subaru Outback with a 2.5 liter engine. I have had to add a quart of oil between the last two oil changes. I called the dealership. The service department told me that they had a letter from corporate informing them that it is normal for that engine to burn 1 quart of oil every 1200 miles. I now carry a quart of synthetic oil in my car. I find it ludicrous that Subaru advertises their vehicles as backcountry vehicles in Backpacker magazine. Just try finding synthetic oil at one of those backcountry gas stations that sells bait. This is my last Subaru. I recently bought a used 2013 Legacy with 92,000 miles. I was completely shocked...2,000 miles after change by a Subaru dealer, my oil light comes on! I traded in my 1997 Audi A6 2.8L with 304,000 miles and it never burned a drop during the 5,000 miles between changes. Subaru Dealer told me...good to go! NO!!! I am not good to go! This upsets me. I have to drive around with a 5 qt jug of Mobil 1 in my trunk. Very upsetting. they should take away your certification. poor ring seal seal on the oil ring can give oil consumption with good compression. ask any subaru owner from 2010 on up. thin oil, low ring tension=.oil consumption. the current subaru's use 0-20 oil. i am at 29k using oil, blew the engine in my 2010 forester...rod brg failure...probably due to low oil at some time, as the engine had oil when it blew. You may be ase certified, but you're obviously a bloody IDIOT. Talkin complete nonsense out your arse. Subaru Fb's are now famous for BURNING through quarts of oil between changes. For you to blame the consumers is asinine. I've have read several instances where these engines have started knocking or seized up due to low/no oil. Thus the oil level is 'reading' low because it is low. Then why are the Subaru oil lights coming on if this is normal?.....ummmm loss of oil pressure (triggers oil light) which means loss of oil. If your Subaru isn't leaving puddles of oil in your drive then its burning it. My subaru developed an engine noise at around 60k and then complete died at 75k miles while driving on the highway. "Idler Pulley" was supposedly the cause. It was/is under warranty and dealer serviced at sticker intervals. The car was consuming a ton of oil, by my measurements. I thought this was just a fluke but it seems it isn't. Engine replacement for this vehicle was over 6k by the time all was said and done. A company like Subaru will plant a tree when you buy the car and then the tree will die from what Subaru calls normal oil burning. What a sham! I own a 2012 Subaru Outback 3.6R and it has been burning a substantial amount of oil since it had about 20k miles on it. I chose this vehicle because of its supposed reliability. I drive quite a bit for my job between customer sites throughout the northeast and have been stranded several times due to this car running low on oil in the middle of a trip. It now has just over 50k miles on it and I have to carry a 6 quart container of oil every where I go for fear of being stranded on the highway. Subaru service claims this is normal.... funny that statement wasnt part of their sales pitch when I bought the piece of junk. I cant recall another car that i have owned in the last decade requiring me to add oil to it between oil changes! Aside from the obvious added cost of oil, how much added pollution is emmitted from these cars? What is this burning of oil doing to the spark plugs? The oxygen sensor? ... the catalytic converter? Going through all these complaints about high consumption oil, made me realize there's really something defective with my 2013 Forester. Before 40.000 miles it developed a high noise in the engine that kept growing. Since we've never had a car that needed oil top off before changes, I never checked the oil and the engine light warning never came on. Contacted Subaru headquarters, had the high consumption test performed and, as expected, the dealer said the consumption was 'normal'. When I was thinking of what to do next (join a lawsuit? ), headquarters (a very pleasant person) called me up to say they were going to replace the short block. I left the car at the dealer yesterday, but just read that others who had the same repair, found out after a few hundred miles the problem came back. I just emailed headquarters again questioning about it. It's our first Subaru, and what a disappointment!!! Indeed the tree they plant when a car is sold will be dead because of the same polluting car. Does VW come to anyone's mind?!? Such a shame, a new new Subaru was on my shortlist. Last car I had that used oil was a BMC vehicle built in 1970. No Subaru for me. Ok, I just bought a 2016 impreza with the 2.0L, I just had my first oil change (6k miles). I had to add 1qt between when I received the car with 80 miles and when I had the oil change, at about 3k miles. Knowing this is during the vehicle break-in period I am not going to go crazy. All manufacturers have a specified oil consumption. I am in a Ford credentialing program theirs is 1qt in 1500 miles, not that far from Subaru's 1qt in 1200 miles. This is my 3rd Subaru and the first with the synthetic oil, my last Subaru (05 forester LL bean edition) ran 5W30 conventional I had 135k on it and was consuming less than a qt between oil changes as long as I went the proper interval, I only ran into consumption issues when I ran longer. Any good car owner will check the fluids regularly. I check my oil once a week, best advice I ever got from my Dad. I disagree with people whining about having to add oil here and there, if that is your issue go get an electric car! My daughter has had to put 1 quart of oil in a day. No one in whining here Kelby. You go get an electric car! You mean buy a Toyota. If you have to keep adding oil to a brand new car whats the point of buying new. I have to go back to the old college days of driving around with a case of oil in my trunk? That's the point of owning a new car. The oil is evaporating and that's not good any mechanic good or bad would say something is not right. I had a toyota truck with 268,000 nyc miles that didn't lose a drop of oil between changes. I agree! I keep 2 quarts of oil in my 2013 Outback 3.6r at all times. I also check my oil after every long road trip, and twice a month regularly. My car doesn't burn all that much oil. The most I've had to add to it was 1/4 of a quart when we did a day trip to Michigan and back. Is my car perfect? No. No car is. But, this is our 3rd Subaru. ALWAYS buy the extended warranty. My daughter has a 2010 Subaru wrx. Lately her car has been burning an abnormal amount of oil. She has put 1 quart of oil in a day. This is not normal. We took the car to Subaru today and they are doing an oil consumption test. She has a bumper to bumper extended warranty but she still had to pay for the oil and the consumption test. Total of 139.00! I can tell this is going to be a nightmare! Ok, I have a 2005 Legacy with a normally aspirated 2.5 liter engine. When I first bought the car, I didn't even get to the first oil change before my low-oil idiot light came on. Since June 2005 I have taken the car into the dealer at least 3 times to check the oil consumption. Every time they tell me it is normal, charge me $100 and send me on my way. Last time, I even contacted Subaru of America to inquire and they sent me on my way. Last time, the dealer told me I needed to change the head gaskets! The car has 60K miles on it and runs perfect!!!! Needless to say, I don't use the "Subaru" dealer anymore! Unfortunately, I have gotten used to adding oil every 1,000 miles. I stopped using synthetic oil several years ago. It was putting me into the poorhouse! Even using conventional 5-30W multi-vis (Subaru recommended oil for the car) oil is costing me plenty at $4 per quart. Now I'm considering getting off of the multi-vis 5-30W oil and going to straight 30W or 10-30W to save money. I have older Toyota truck with 200,000 miles that uses much, much less oil than the Subaru! What a joke. Subaru touts their cars as PZEV (partial zero emissions vehicle), but i'm betting the oil their cars are consuming does nothing for the emissions. Sad, but I've been buying Subarus since 1981 and this is the first lemon I have owned. I used to be one of those goofy "Subaru-lovers". Sorry, not any more. I need to find out how to get onto the class-action suit that has been started over this. Getting ready to purchase 2-3 yr old car for my bride. Got intrigued by Subaru. I drove a couple and was fairly impressed with comfort and performance. I have driven Toyotas for the last 30 yrs. They have always given me trouble free use. When i started doing research,this oil issue surfaced. My answer to Subaru: no thanks. I'll stick with what I know. Its funny to watch subaru try to sweep this under the rug. Their PR people have been working hard to convince people that it was just a couple lemons. Interesting read. My car 2005 2.5L NA WRX GC uses 200 ml every 2-3 weeks and it probably equates to a 1 liter in 1500 miles. But the driving style is the chief reason for this oil consumption and all previous high performance car I have owned Bristol 403, Jaguar, 1300 Cooper all used oil. I would be suspicious if my Subaru did not. For me it is not Subaru who is at fault, and it's not magic. If I consistently drop speed below 80 and quit cornering at 0.85g the oil consumption also drops. But then what the point in owning a WRX, I could wander along in a Malibu at 50. There is nothing more fun or skillful than driving a WRX very fast in the snow !!!!!!! Suggestion, quit griping about $12 of oil between oil changes and go have fun in the best full-time AWD car made below $30,000 but check your oil regularly. My 1996 Jeep Cherokee with 170,000 miles burns no oil between changes every 3,000 miles. My 96 Cherokee didn't burn any oil either. It went 300k before being sold. It's still someone's "woods truck". These Subaru's won't have that lasting power. They're appliances meant to be thrown away like the garbage that they are.